This is the yarn I'm working with right now. 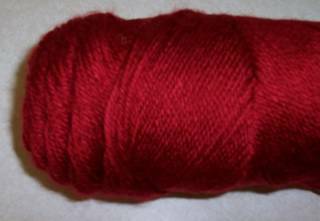 Because the only place around here to get yarn is Wal-mart, I have a limited selection, but I like this one. It's Caron Simply Soft Autumn Red. Pretty, right?